Here it is. The list that no one’s been waiting for. In my geekiness, I rated every film I watched this year out of 10 immediately after I watched them. And here they are along with my favs of the year. 81 Uncle Boonmee Who Can Recall His Past Lives ?? 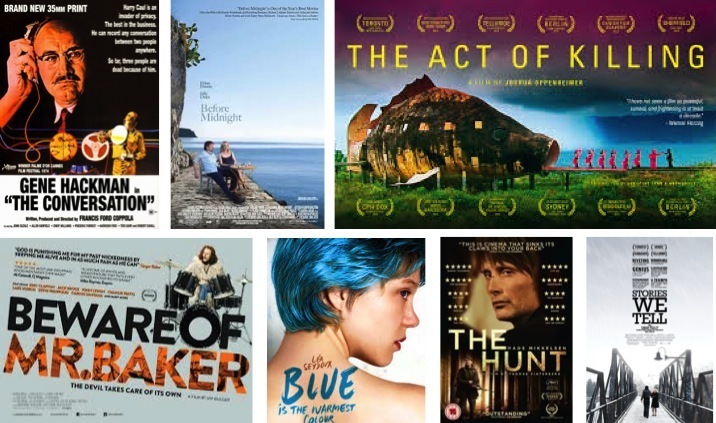 This entry was posted in - Films and tagged Before Midnight, best films, best films of 2013, best films of the year, best movies of 2013, best movies of the year, Beware of mr baker, Blue is the warmest colour, film reviews, films, indie games, Indie games: the movie, Liberal arts, moon, movie reviews, movies, Star Trek Into Darkness, Te stories we tell, The act of killing, The great gatsby, uncle boonmee, Uncle Boonmee Who Can Recall His Past Lives on January 2, 2014 by beautifulorange.